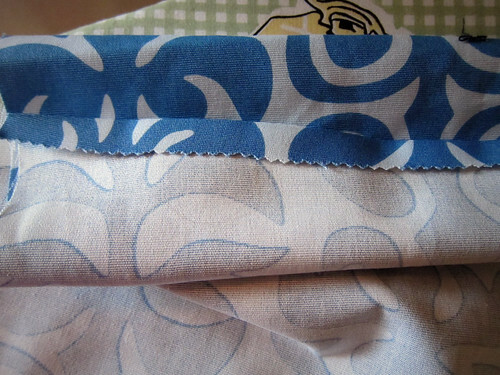 I initially bought this sweet fabric to make a dress for myself. Then I learned that there is a difference between regular fabric weight and upholstery weight. This was bought at Ikea, and it's upholstery weight, so it's never going to be comfortable or flowy enough for a summer dress. I used one yard and made a pillow case, and TADA! Jimi has a new dog bed! 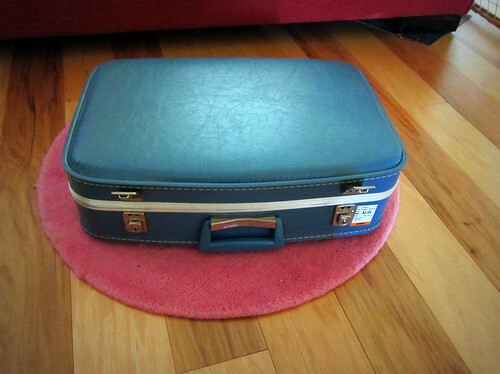 I plan to attach some legs to the suitcase and remove the top so the lid doesn't shut on him. 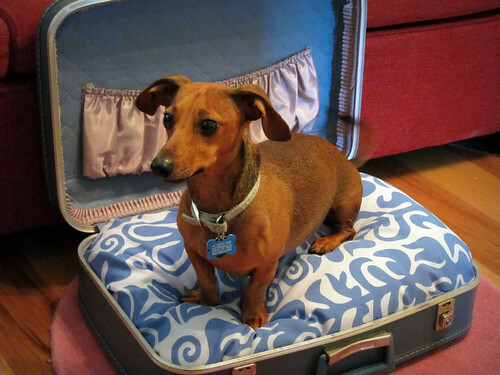 Eventually, I'll make him a matching dog toy in the next coming weeks and trick out his new bed. Time spent on this project? Thirty minutes! Austin Fashion Week kick-off... plus "I Think We're Alone Now"